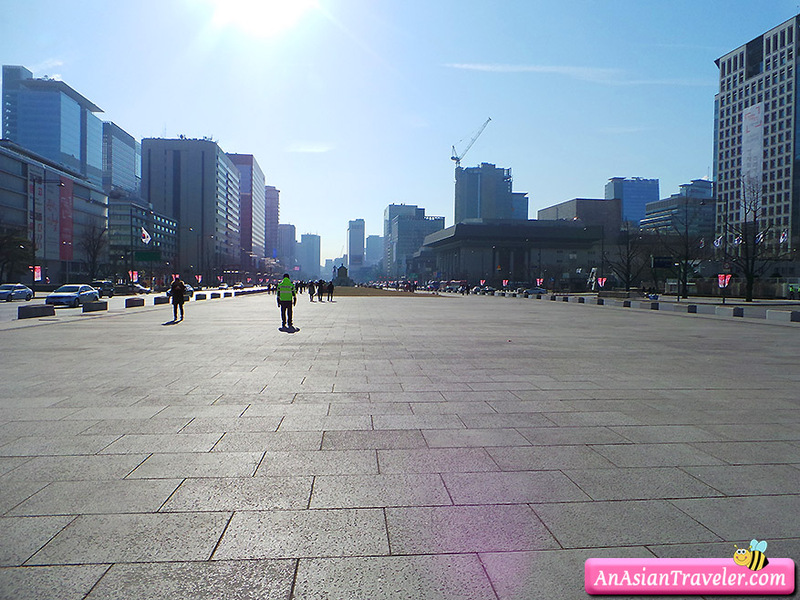 We soon found out that Gyeongbokgung Palace is just adjacent to Gwanghwamun Square. 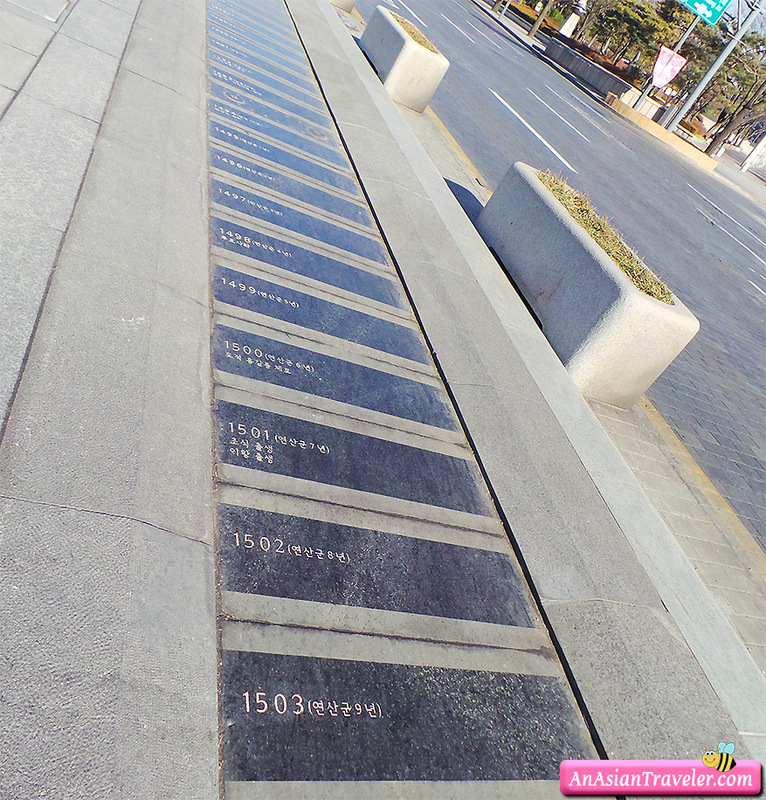 It's a public area located in the center of central Seoul, which was opened to the public on August 2009. 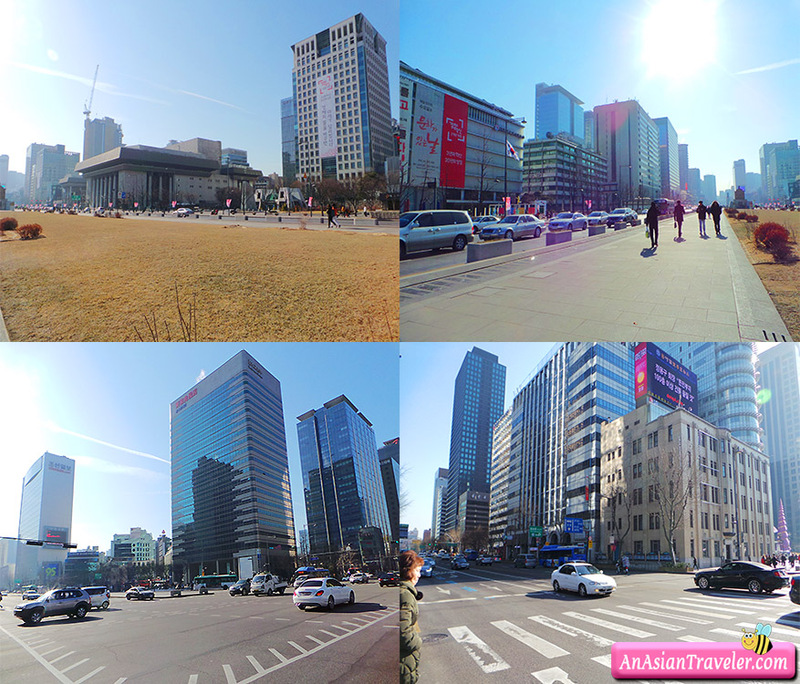 Gwanghwamun Square is surrounded by high rise buildings and several subway stations. 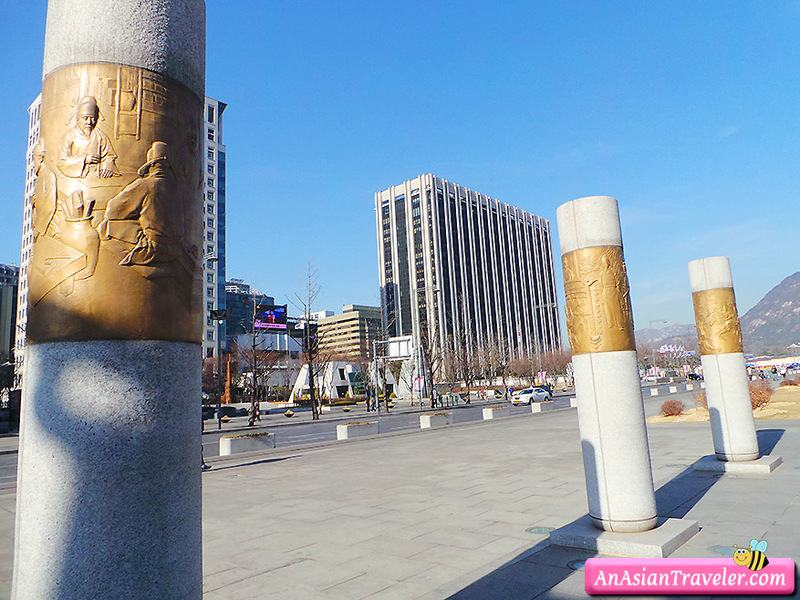 In the middle of the square is a 9.5m bronze statue of King Sejong, the fourth monarch of the Joseon Dynasty who invented the Korean alphabet, hangeul. 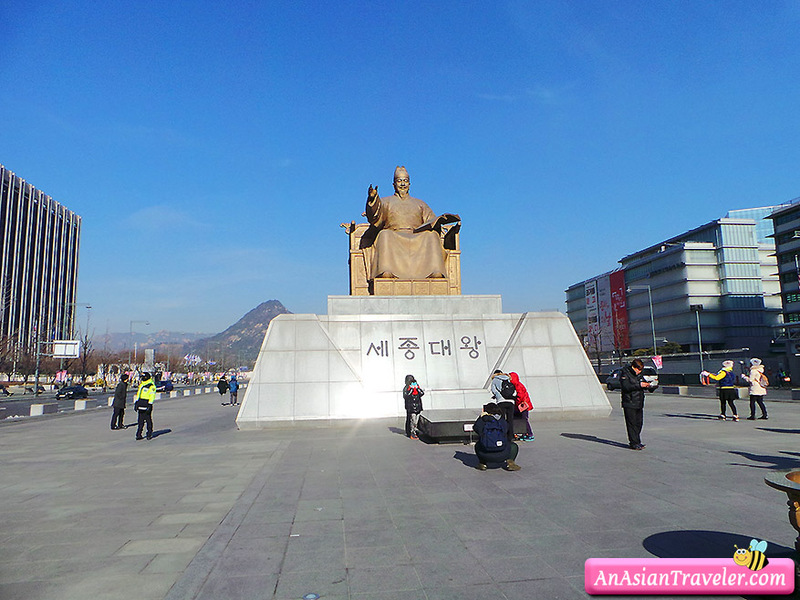 "The Story of King Sejong Exhibition Hall" is accessible at the back and underneath the statue, which details Sejong’s invention of hangeul and his other contributions. 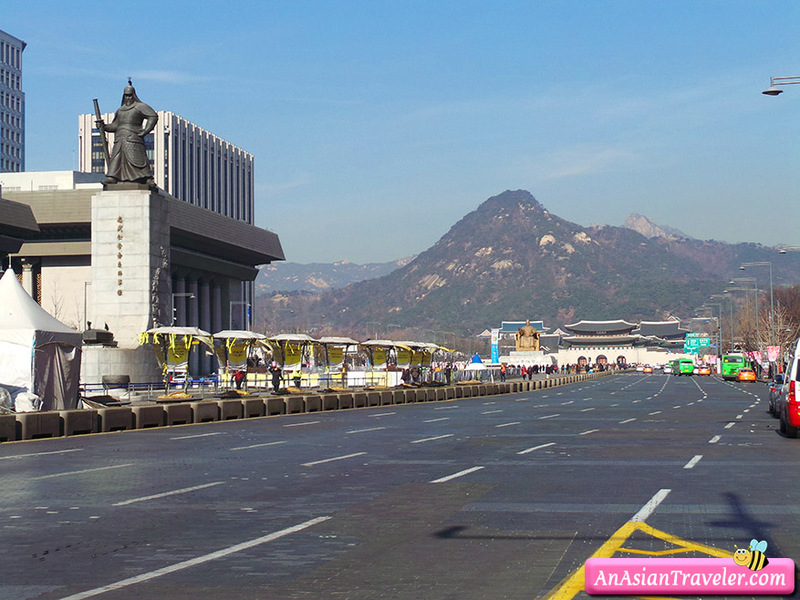 Behind the statue, there are six columns with golden carvings depicting the King's major accomplishments. 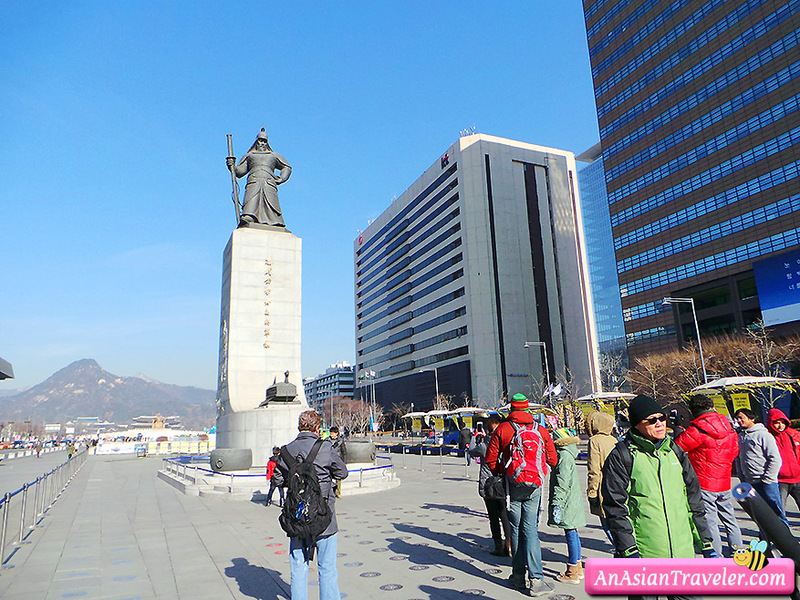 There is also a statue of Admiral Yi Sun-Sin, a naval commander noted for his victories against the Japanese invasions of Korea. 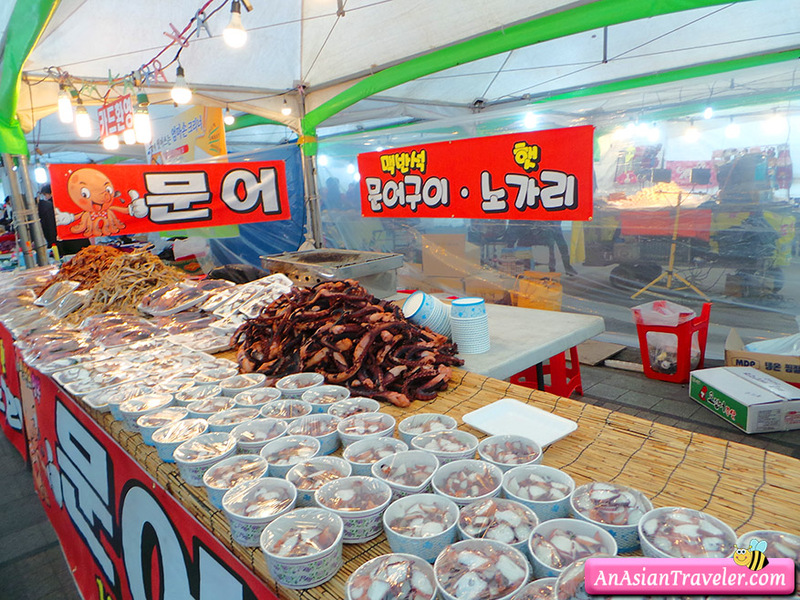 Luckily, while walking around the square we stumbled upon a flea market. 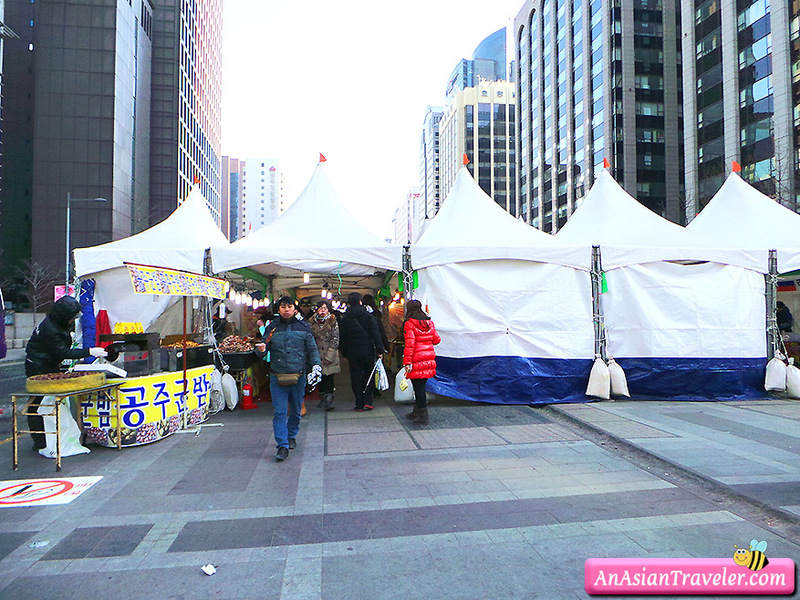 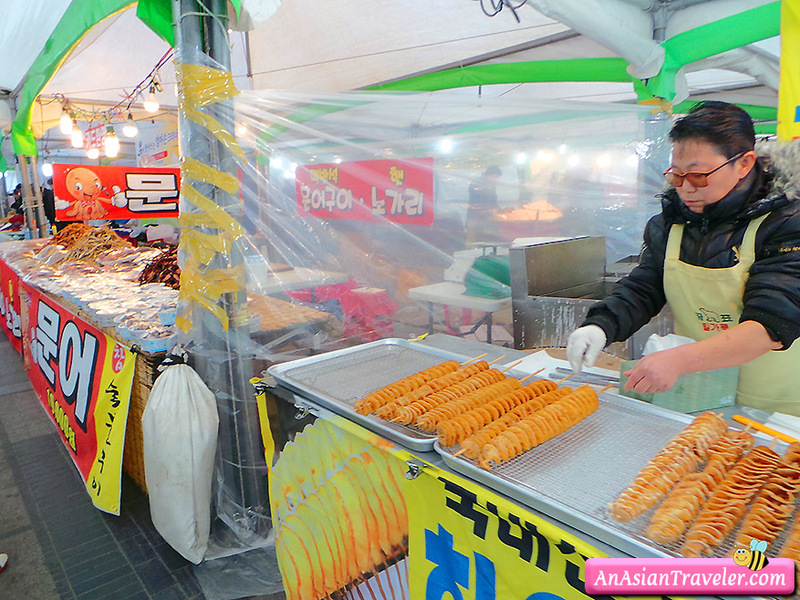 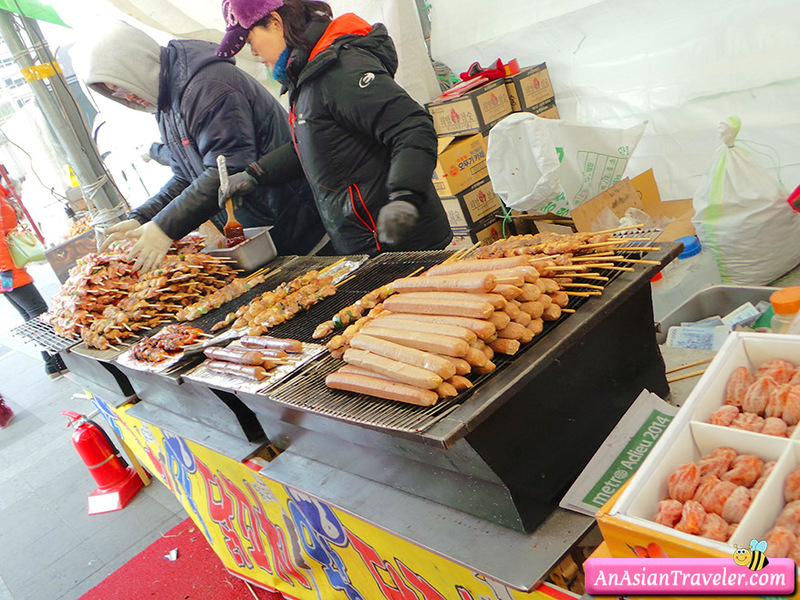 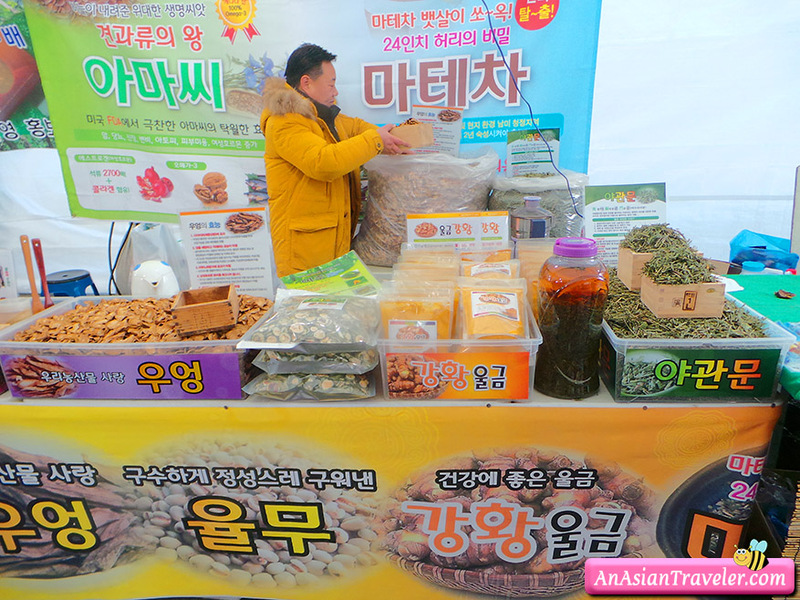 So we ventured into the covered tent and it was actually overwhelming seeing multiple food stalls selling mostly various Korean snacks. 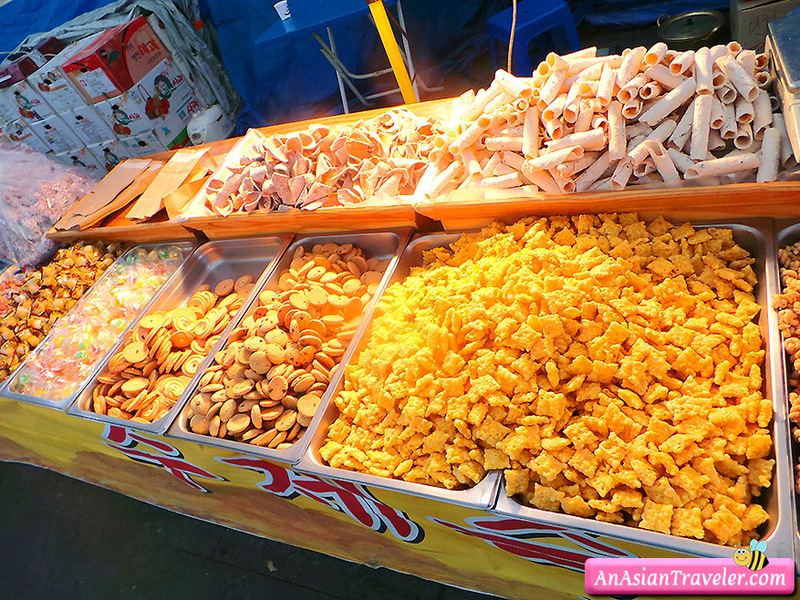 We had a grand time looking over these delicious treats and managed to try some of it. 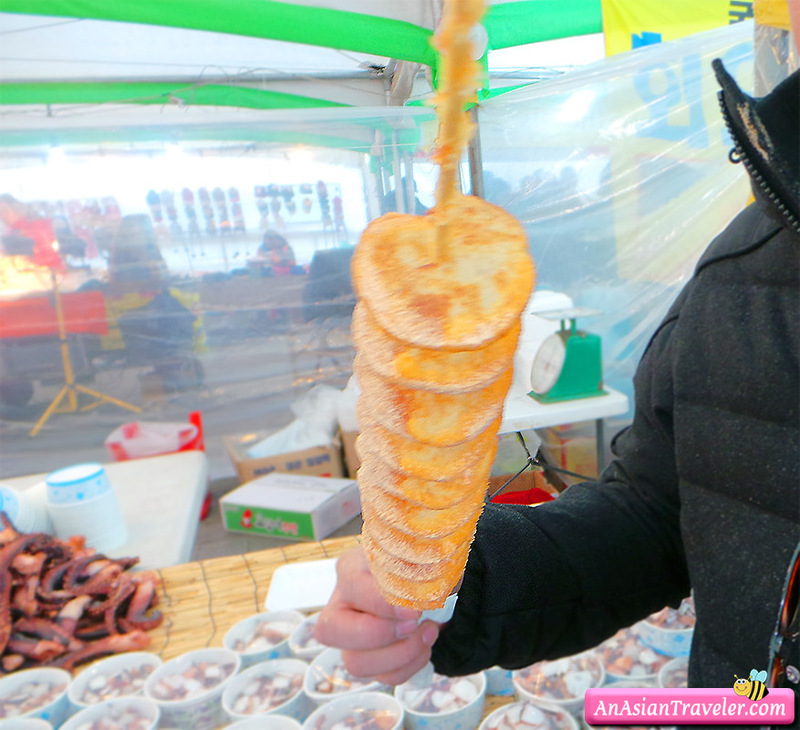 The spiral fried Potato Tornado was pretty addictive!